Whether we like to think about it or not, retirement becomes a reality for the majority of us. 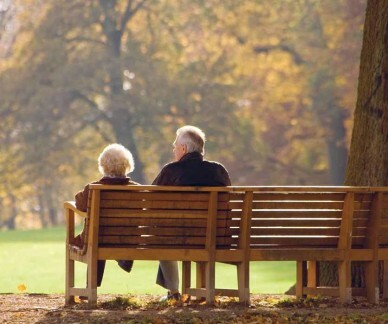 The good news is that people retiring today tend to live longer and fuller lives than before. In order for us to have the type of lifestyle we would like in retirement we need to plan and save for it, and a pension is one way of doing that. As we have an ageing population in Ireland, it is important that individuals make adequate provision for their retirement. To encourage the individual to contribute to a pension the Government offers tax relief on pension savings. Consumers also should be aware of the employees’ rights in relation to accessing a pension. By law employers are obliged to provide all employees with access to a pension. Where there is no company pension in place or where some employees cannot access that company pension the employer must allow access to a Personal Retirement Savings Account (PRSA) provider. Read on for further information on the obligations involved. Pensions are by their very nature a long-term investment. Over the lifetime of a pension, which could be 30 to 40 years, there will be times of high returns as well as low returns. This is to be expected with all investments and pensions are no different. For those who have started planning for retirement and are investing in a pension it is important to have an understanding as to the investment choices and risks being made on their behalf. As mentioned above, we’re living longer – the average person retiring tomorrow aged 65 years has a life expectancy of a further 20-23 years, this, coupled with increases in the standard of living means that the cost of funding your retirement is growing. It is, therefore, important that you engage with the pension process and remain engaged whilst you’re contributing to the pension during your working life, so that your expectations in retirement will be met. This is of even greater significance for those nearing retirement age, with five to ten years to go to retirement. The Pensions Authority recommends that lower risk options be made available to scheme members as they approach retirement so that the growth experienced can be realised. The Pensions Authority offers a range of booklets, including A consumer and employers’ guide to PRSAs, which helps explain the pension process. One of the more immediate benefits of contributing to a pension is the tax relief. This relief proves pensions to be one of the most tax efficient ways of saving for the future. Tax relief is currently available on the pension contributions, the investment gains and most pension schemes currently allow for a tax free lump sum in retirement usually at 25%. It is generally recognised that the older you get, your outgoings start to reduce. In order to incentivise you to allocate more of that income towards retirement, the percentage limits of your salary which can be invested in a pension are increased; thereby increasing the tax relief available in accordance with your highest rate of tax – please see the table below. Since 2003 employers are obliged, by law, to provide all employees with access to a pension. As mentioned above, where there is no company pension in place or where some employees cannot access that company pension the employer must allow access to a Personal Retirement Savings Account (PRSA) provider. To assign a PRSA provider- this involves the employer contacting a provider and establishing an individual within the provider as their contact point. To issue the PRSA provider and contact details to the employees and to allow them time during working hours to make contact with the provider and get the information they need. If the employee decides to start contributing to a PRSA with the designated provider the employer must make the relevant deductions from payroll. Please note the employer is NOT obliged to make any contributions to the employees’ pension but they must provide this access to all employees including part-time/seasonal workers. The Pensions Authority will issue on-the-spot fines and prosecute any businesses found in breach of their obligations. The Pensions Authority’s website www.pensionsauthority.ie provides a range of information and resources including the Pension Calculator, which allows you to insert basic personal information such as your age, current salary, and the value of the fund (if any) invested to date and your target pension as a percentage of your pre-retirement salary. The calculator will then estimate the monthly contributions needed to provide for their pension at retirement. There are savings and advanced pension calculators available on the website also. You should also talk to your bank, insurance company, building society, financial advisor about pensions today.